LAS VEGAS, Nev., Sept. 26, 2014 (SEND2PRESS NEWSWIRE) — TV Star and lead expert of the hit cable television show “Hoarders,” Cory Chalmers, will be making a special guest appearance at the TICA Cat Show Friday October 3, 4 and 5 in Las Vegas, Nev.
Cory Chalmers has been a longtime advocate for animal welfare. Unlike what is sometimes depicted in his television show “Hoarders” Cory believes that cats, as well as all animals, should be raised in a safe, clean and humane environment. There will be a local cat rescue group on site that will be placing loving cats into forever homes. Cory will be available for pictures, autographs and selling t-shirts and hats, donating all of the proceeds to the local cat rescue group on site. Come by and meet Mr. Chalmers, (Riviera Hotel 2901 Las Vegas Boulevard South Las Vegas). This year’s show is called “A Haunted Weekend” and is presented by Jazzy Vegas at the Riviera Hotel and Casino at 2901 Las Vegas Blvd. South. * Friday, October 3; 4 p.m. – 11 p.m.
* Saturday, October 4; 10 a.m. – 6 p.m.
* Sunday, October 5; 9 a.m. – 5 p.m.
Cory’s company, Steri-Clean Inc., offers franchises with two divisions: a hoarding remediation division called Steri-Clean (www.hoarders.com), and a Bio-Hazard clean-up division called Crime-Scene Steri-Clean (www.crimecleaners.com). 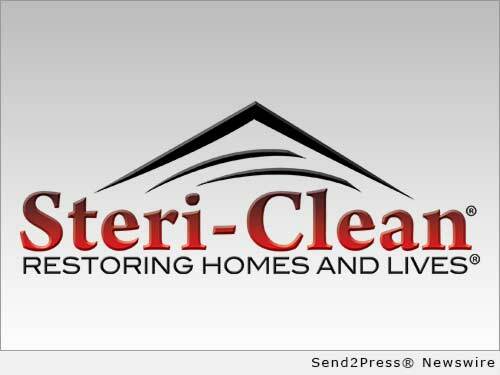 For more information on Steri-Clean, Inc. please visit http://www.SteriCleanInc.com/. Original Keywords: Hoarders, Steri-Clean Inc, TICA Cat Show Cory Chalmers Las Vegas Nevada LAS VEGAS, Nev.
RSS News Feed for Steri-Clean Inc.
REFERENCES: Entertainment News, Hoarders, Steri-Clean Inc, TICA Cat Show Cory Chalmers Las Vegas Nevada LAS VEGAS, Nev.